A fee of RM3 is charged for camera and RM5 for a video camera. TIP: Take the taxi if you do not wish to walk up the 60-meter high hill. Give yourself an hour. A bit more to take in the views from up there. 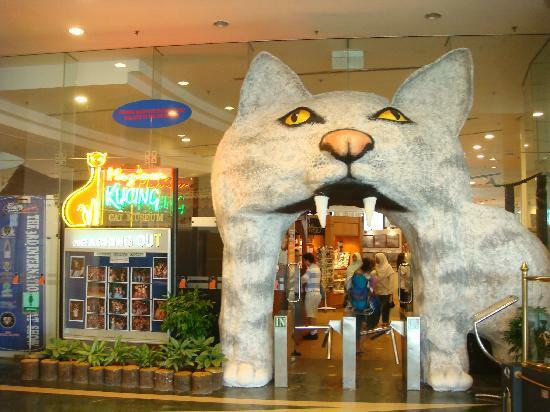 The Kuching’s Cat Museum is the first museum of its kind in the world. 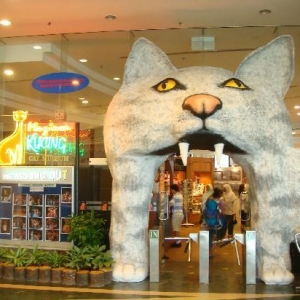 It is managed by Kuching North City Hall and has collection of Cat artefacts acquired from the National Museum which displayed them in one of its galleries in Kuala Lumpur. 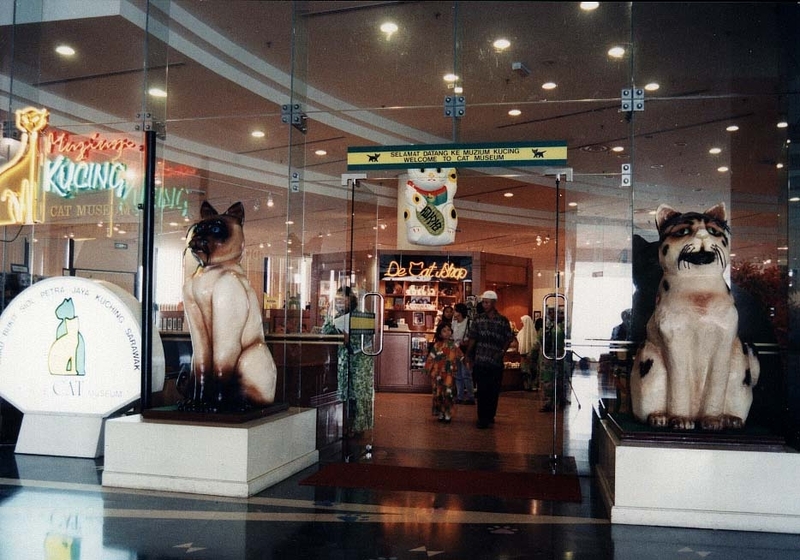 These collections were bought to Kuching City by the Sarawak Museum and displayed for the first time on 1st August 1988 at the Dewan Tun Abdul Razak. The collections were officially handed over to Kuching North City Hall on the completing of DBKU Headquarters buildingin 1992, in which the museum is situated. 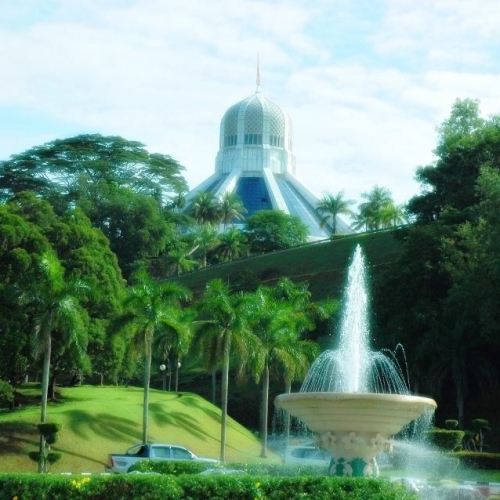 The museum is housed on the Lobby Floor of Kuching North City Hall Headquarters on the top of Bukit Siol (Siol Hill) at Jalan Semariang, Petra Jaya, Kuching. 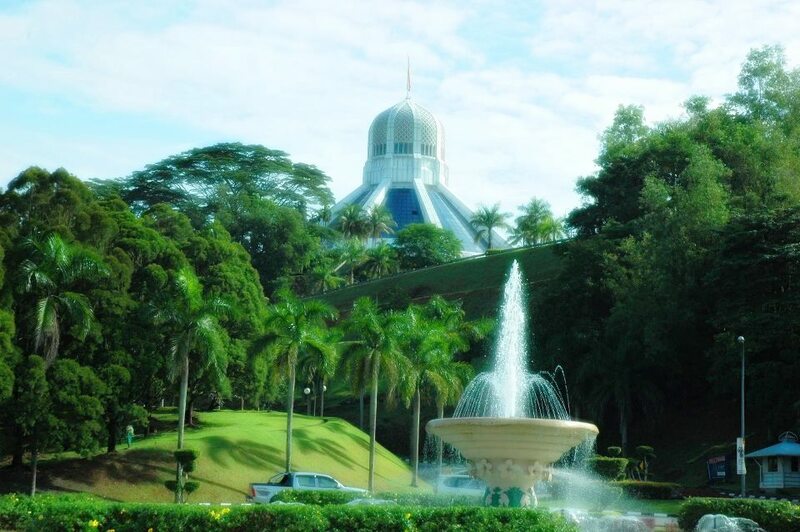 It stands 60 meters above sea level overlooking the picturesque view of Kuching City. 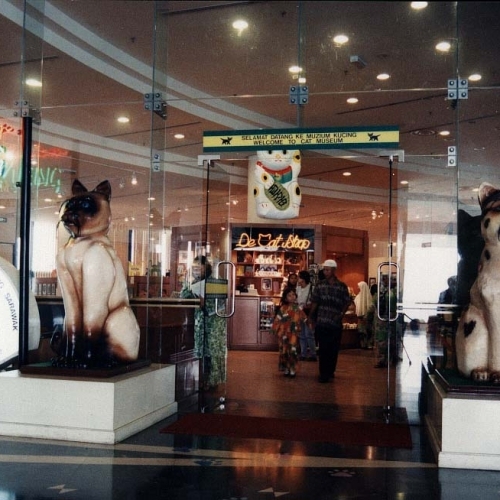 The Cat Museum covers an area of 1,035 sq. meters comprising four galleries with over 4,000 artificats including paintings and memoriable. 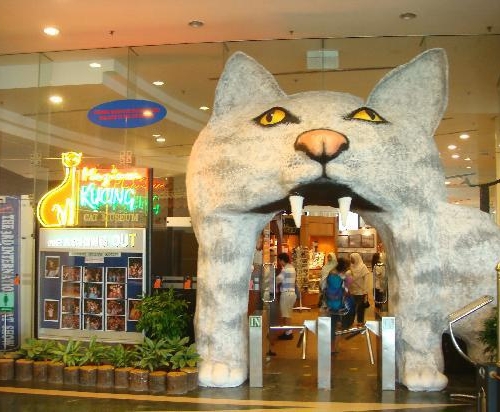 How Kuching City got its Name? Take CityLink Bus no. K15 from Saujana Food Court Bus stand or use the more convenient taxi service.